Purchasing a new home can be both an exciting and stressful proposition. It likely involves traveling around to numerous homes and touring them with your realtor (if you have one) and trying to decide the best location for yourself and/or your family. When you’ve finally decided on the home, that is where the real work begins. The first term of any residential home purchase is always purchase price. Do you know whether you are overpaying for a property? Are you immediately creating equity because the purchase price is below the market value? When you are drafting or negotiating the contract for a residential home purchase, it is important to request an appraisal contingency to be included. An appraisal contingency simply states that the home must be appraised at or above the purchase price. This creates a safeguard on behalf of the buyer. If the appraisal returns below the purchase price, then you have the option to either renegotiate the purchase price or terminate the transaction. This safeguard protects the buyer from locking into a transaction where the buyer is paying more than the fair market value of the home. 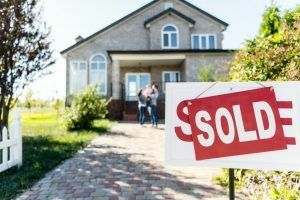 Without this safeguard in the contract, the buyer is at risk for an appraisal that returns lower than the purchase price and being in a legally enforceable and binding contract. The remedy of specific performance (or forcing the sale) is only used in cases where there is a lack of remedy at law; as such, it is rarely granted. However, you (as the buyer), would likely be liable for the earnest money deposit and/or any liquidated damages that are agreed upon ahead of time. With that said, just this small issue alone illustrates the need for attorneys that are well versed in real estate transactions to ensure that your best interests are protected during the process. It is always easier to be proactive than to be reactive. If you need assistance with a real estate or have questions about real estate law or transactions, feel free to contact attorney John Frazier.